Jandd water bottles have pictures of our trademarked dog logo. The rear of the bottle shows the back view of the drawing. 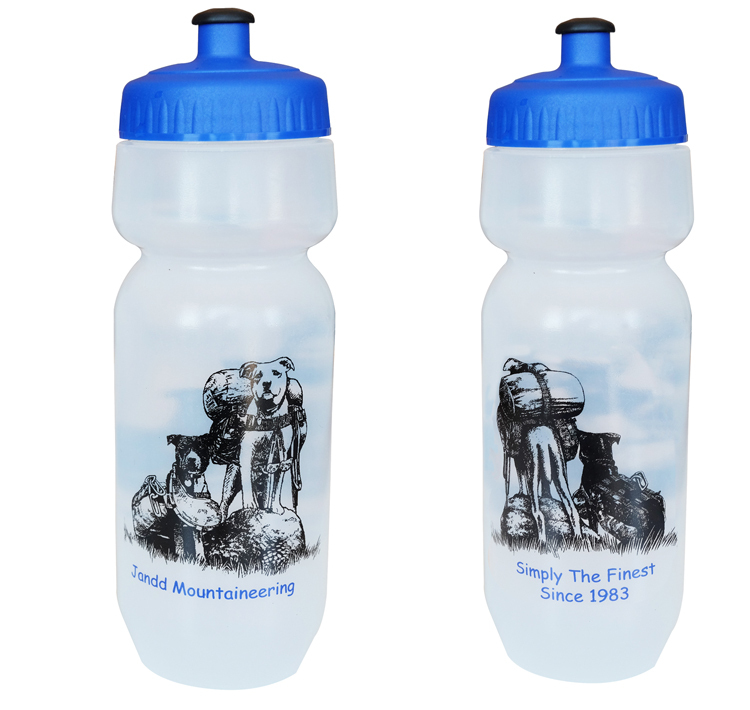 The 28-ounce bottles are clear and have a soft pull cap which is easier on teeth. The drawings were done using real models and were created by Santa Barbara Artist Zelle Olson. 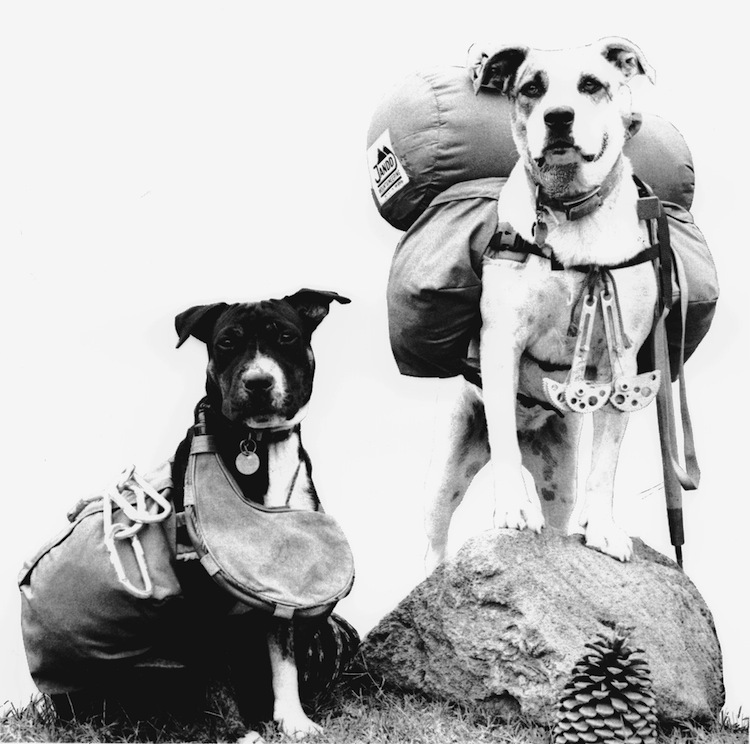 The larger dog is named Patches and the smaller is named Gum Drop. The picture of the dogs was taken back in 1984. Jandd water bottles, caps and water rivet are all made in the USA.